Today is my husband's birthday. The tradition at his work is to take in morning tea on your birthday. So I made biscuits. 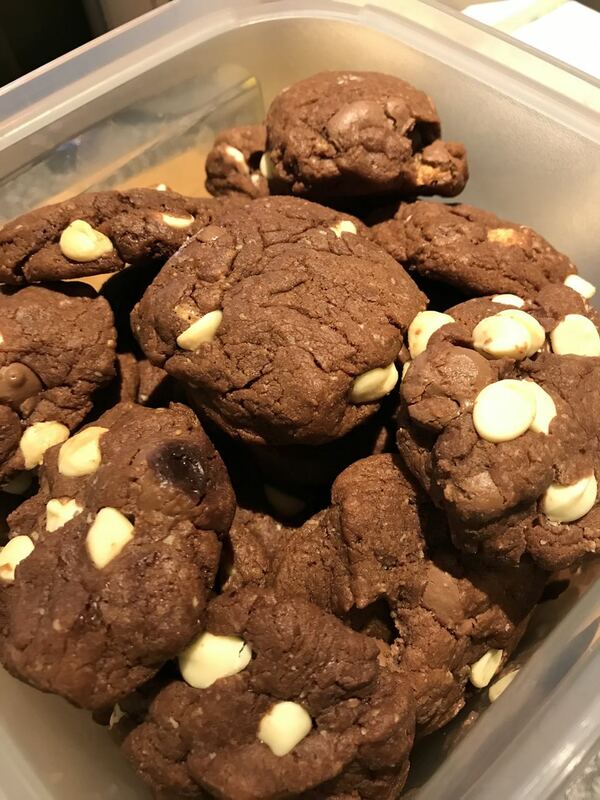 The recipe is from Jamie Oliver's Comfort Food book, they are Devil's Double Choc Malt Cookies. Not the prettiest of biscuit, but very tasty.